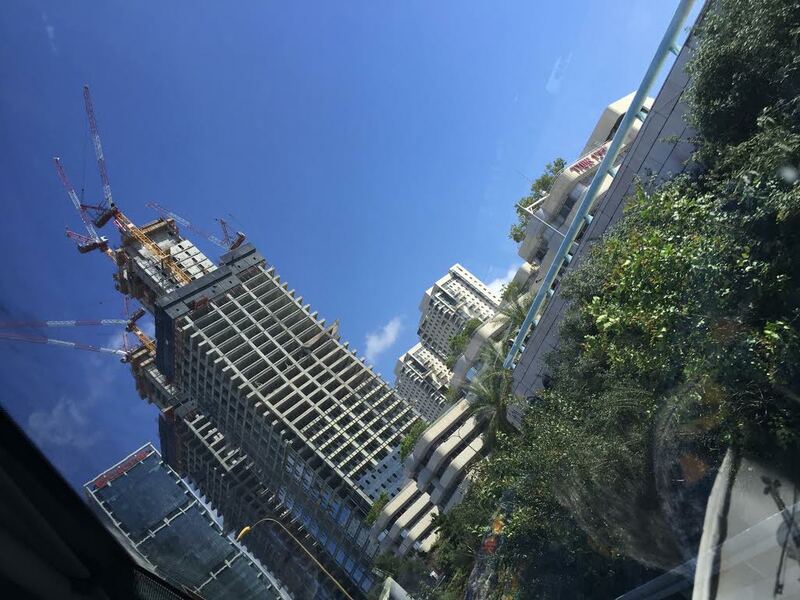 One of the many pleasures of living in Israel is the endless variety of places to go and things to see. 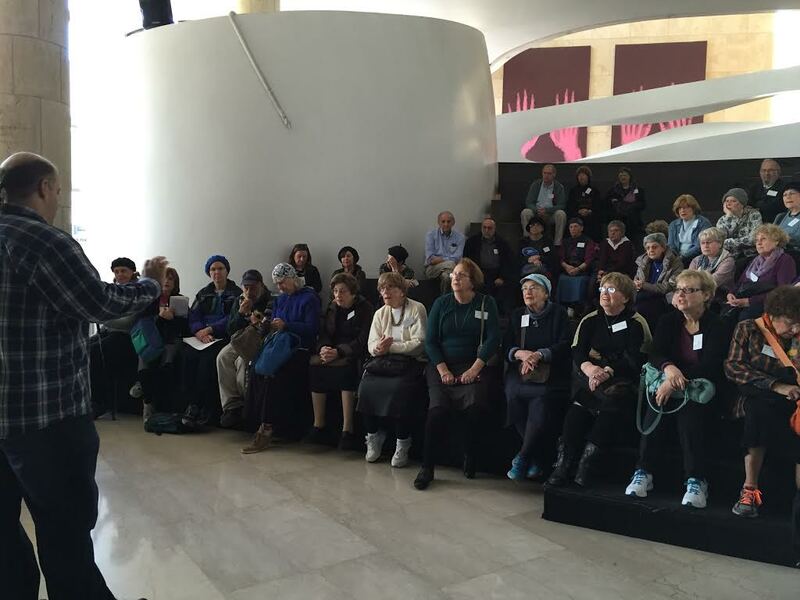 Yesterday, a large group of touring enthusiasts visited Israel’s Center for the Performing Arts in Tel Aviv. 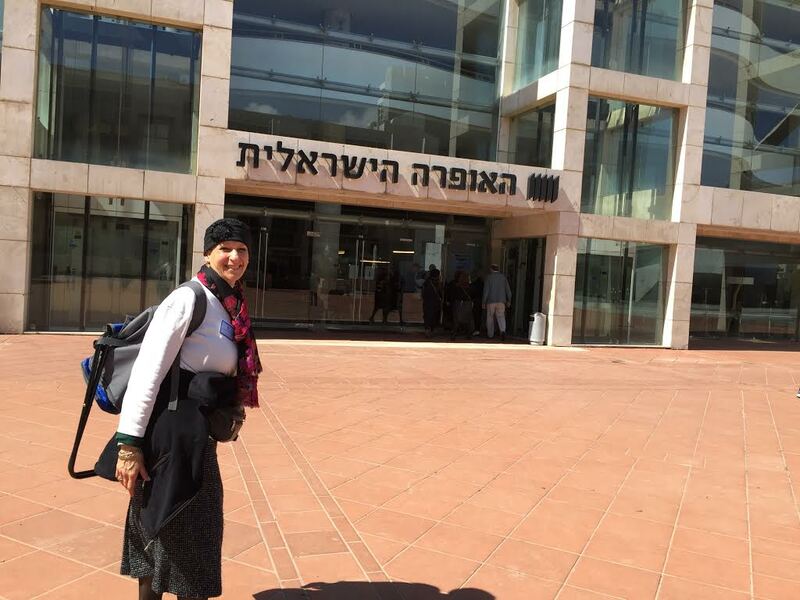 The 1,600-seat auditorium hosts Israel’s opera company, as well as many concerts and theater. 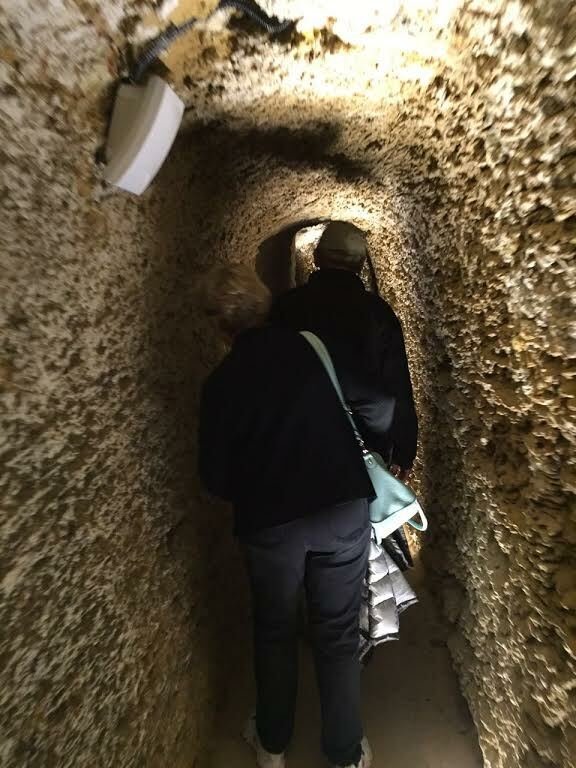 We were guided through the building by Guy Mannheim, a very personable opera soloist with a great sense of humor. 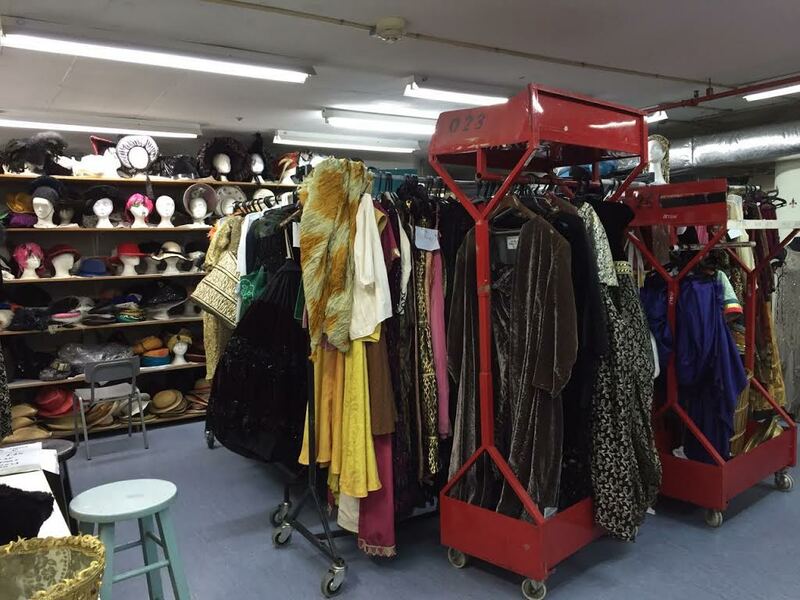 My favorite stop was the costume room, filled from floor to ceiling with bombastic handmade costumes and headwear of bygone eras. Guy showed us a stunning golden priest’s robe that he had worn for a performance. It weighed 20 kilos! 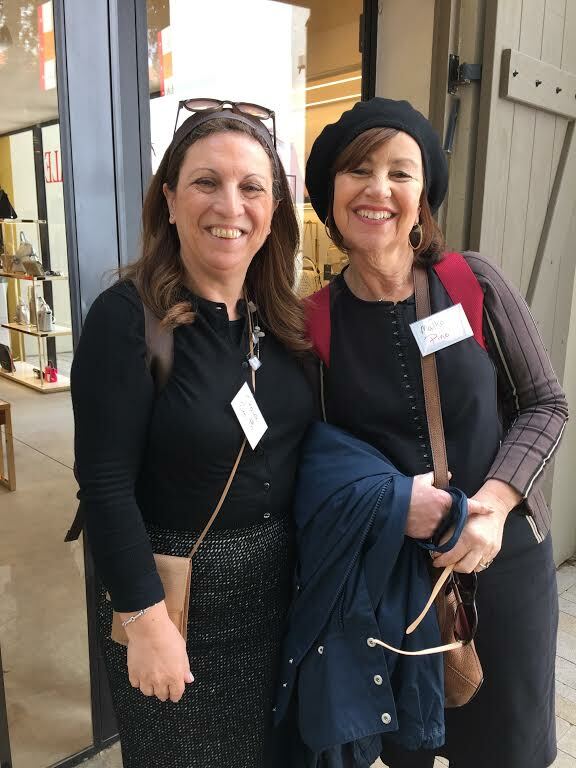 We tried on hats galore, snapped photos, and imagined which ones we would love to borrow for Purim. In fact, Avigdor Lieberman had been there right before us, doing exactly that! The highlight of the tour, though, was Guy singing and acting two short arias for us, from The Magic Flute and Don Giovanni. 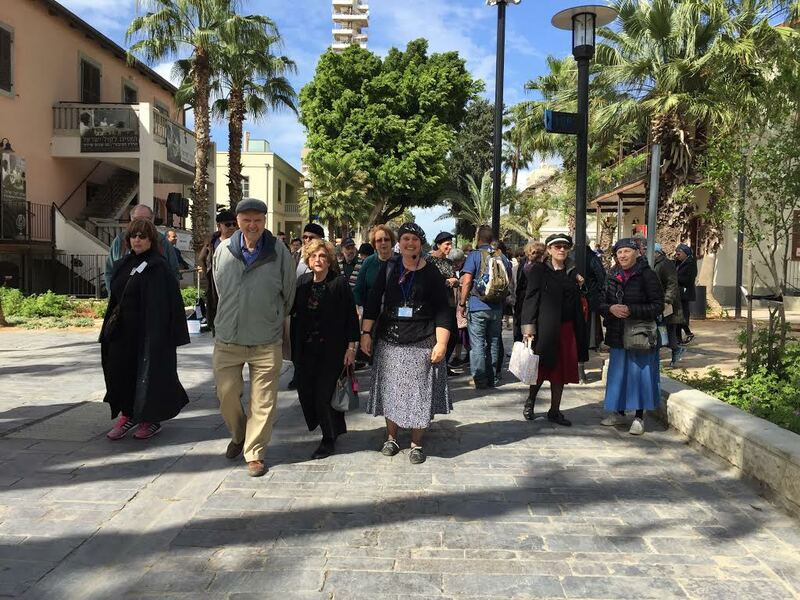 We spent a stunning sunny afternoon with our guide, Adina Lebor, walking us through restored Sarona. Originally built by German Templars in the late 1800s, the British expelled their Nazi-sympathizing descendants during World War II. 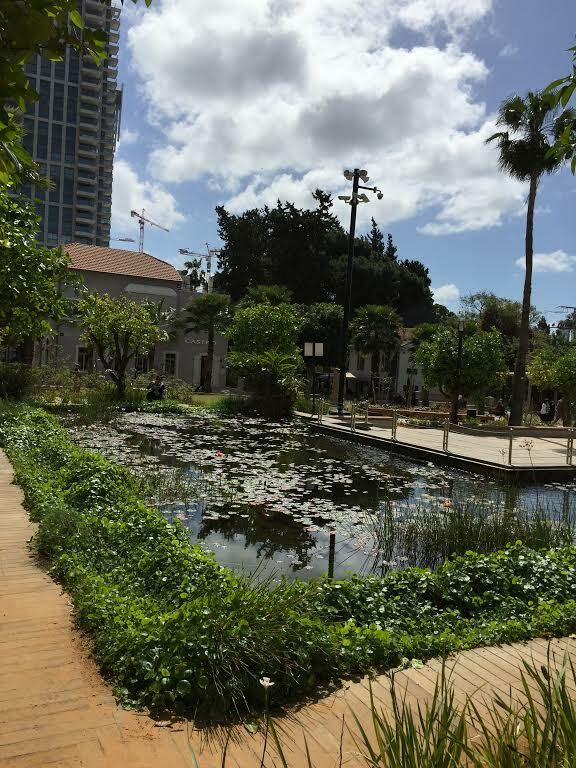 In 1948, Sarona became the center of the new state of Israel’s IDF, IAF, Mossad and Knesset. 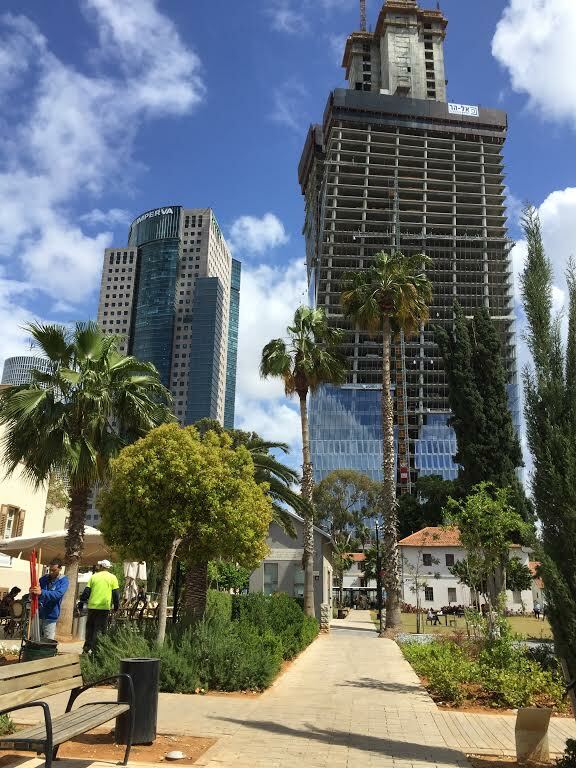 After becoming a dilapidated eyesore in the center of Tel Aviv, 13 of the original stone buildings were restored. Today, the original wineries, beer garden, olive press, and homes are mostly upscale restaurants (2 are kosher) and trendy stores. It even includes an extensive food mart reminiscent of those in Fisherman’s Wharf in San Francisco, the Baltimore Harbor, and Boston. If you brown bag it as we did, you can enjoy your lunch at the picnic tables provided. 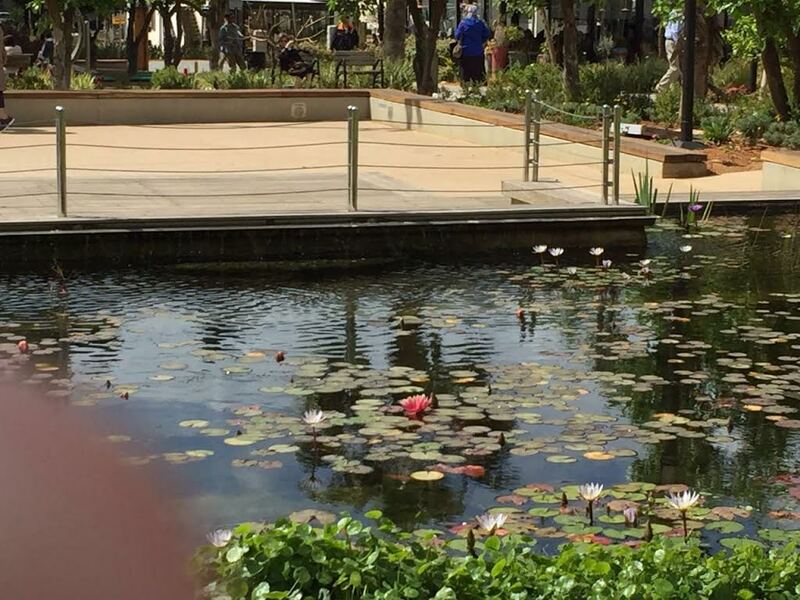 It was a treat to stroll through the beautifully landscaped urban park with a waterlily pond, an herb garden, and the smell of orange blossoms wafting through the air. It is a tranquil oasis among the surrounding skyscrapers and army installations of the big city.